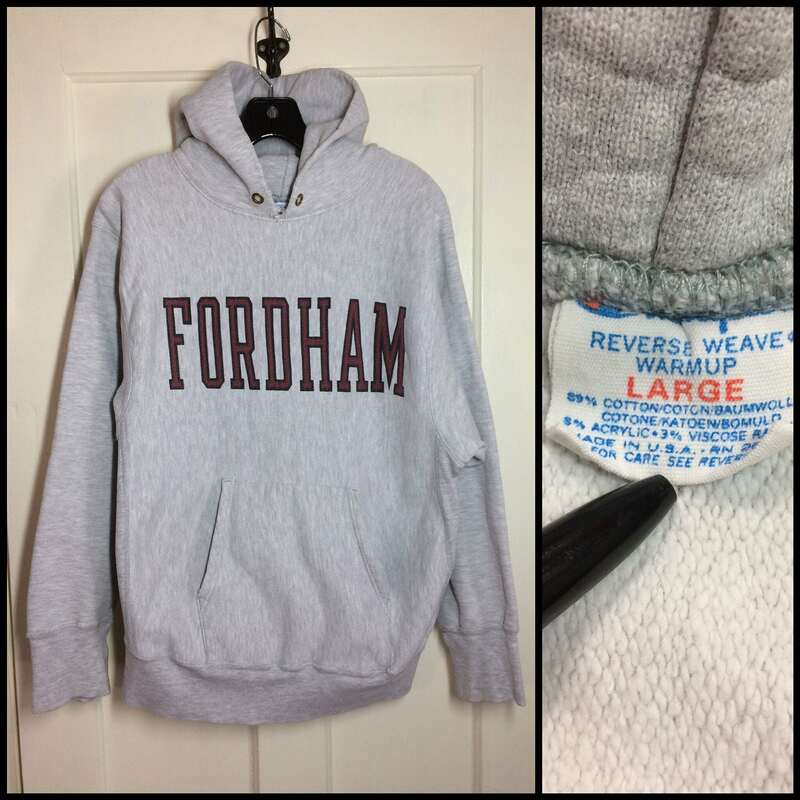 Here's a thick hooded sweatshirt from the 1980's. 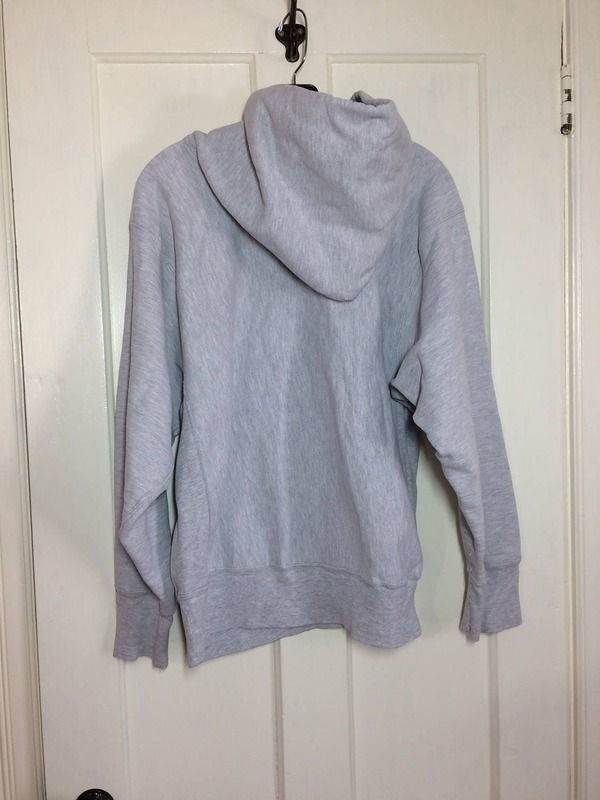 There's wear and holes at the neck, on the cuffs and seams and the top of the hood. 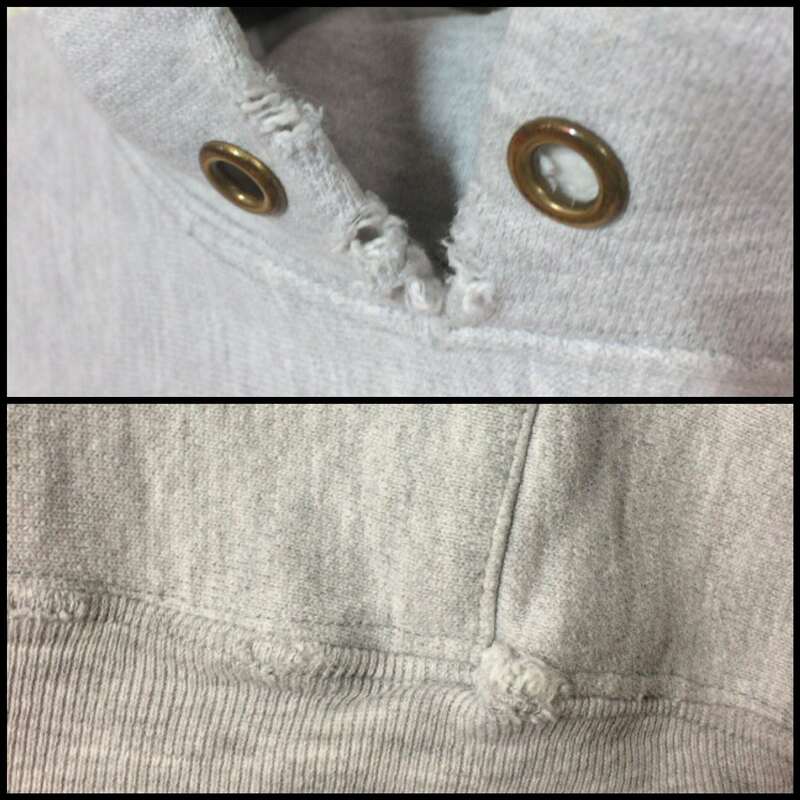 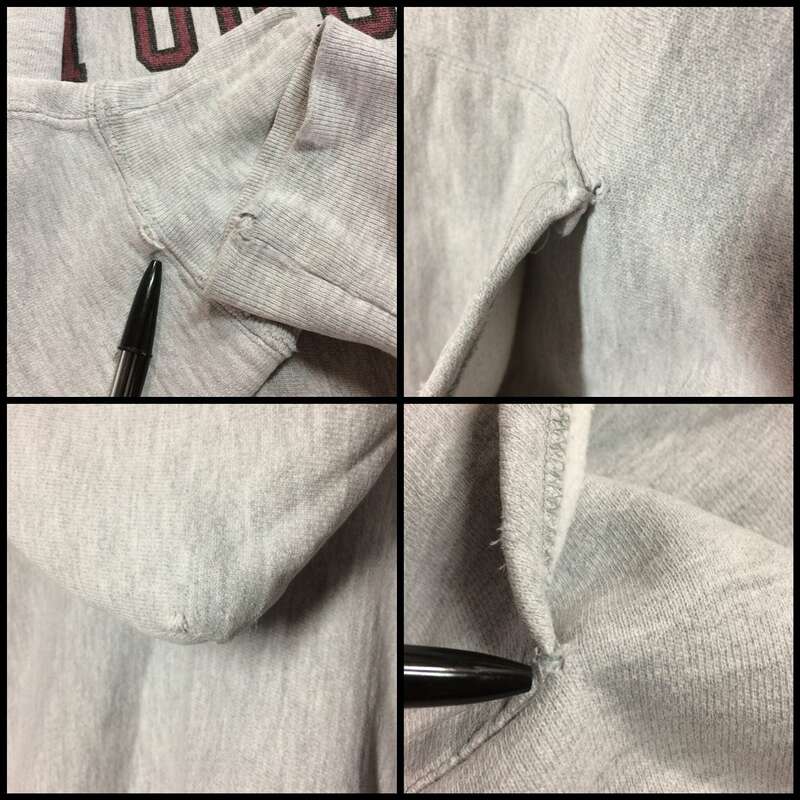 There's 2 tiny holes where the pocket is attached on the left side, the sleeve cuffs are slightly dirty and the drawstring is missing, see photos. 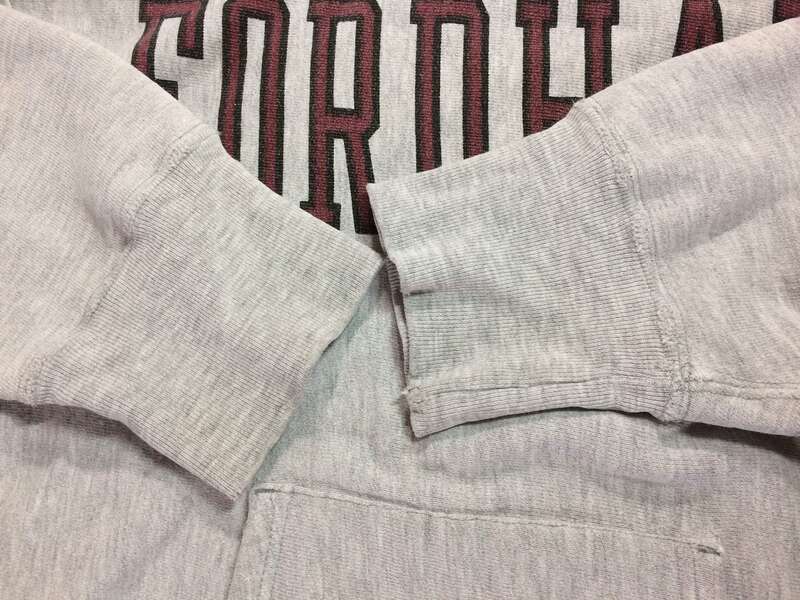 It's in perfectly distressed, very used condition.